– Prof. D. Gadella, Dr J. Goedhart, Dr M. Hink, Dr. M. Postma UvA and LCAM: broad expertise in development and application of functional imaging techniques: FLIM, FCCS, FRET, probe development, instrumentation. Nikon Centre of expertise. – Dr K. Jalink, NKI and LCAM: development and application of FRET probes; instrumentation, method development. Advisor to and beta-lab for Leica microsystems, beta-lab for Lambert Instruments. -Dr A. Houtsmuller, dr GJ van Capellen, Erasmus OIC: Broad knowledge in live-cell imaging and worldexperts in advanced FRAP applications. -prof. Akhmanova & prof. L. Kapitein, UU: Optogenetics and 3D time-lapse. -Dr. J. Franssen, Radboud University, NCMLS: Development and detailed characterization of FRET probes. 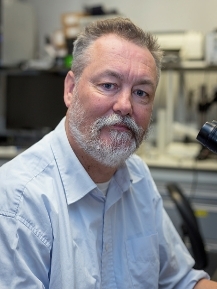 -Dr JW Borst, microspectroscopy centre, WU: dedicated to applying functional imaging methods in plants.